At Meru Valley Resort we pride ourselves on being safety-conscious. Hence, we are glad to introduce to you an all new emergency rescue buggy service to mitigate the risks and consequences of potential man made and natural threats and hazards, specifically as they may occur within the resort which is made available 24 hours. 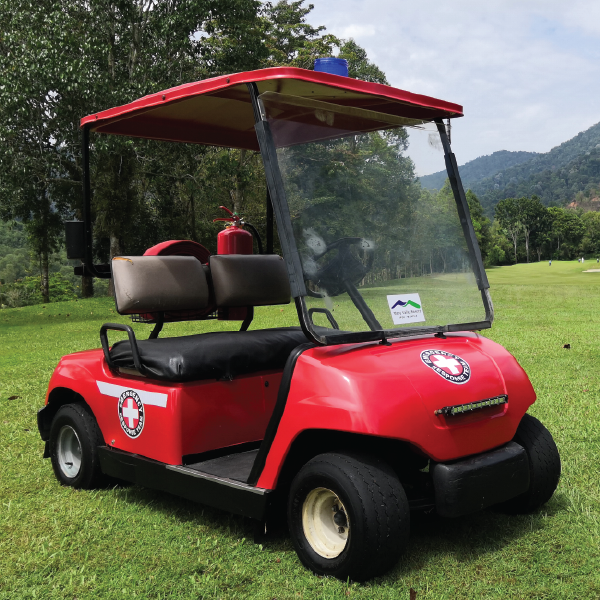 It is a modified buggy which is perfect for rapid on-site emergencies around the resort and golf course. The buggy is equipped first aid kit to administer minor injuries, fire extinguishers (CO2 & dry powder) and hydrant hose to put out small fire breakouts and necessary tools to protect you from potential threat from wildlife such as wasps, bees, other biting insects and poisonous animals around the resort.